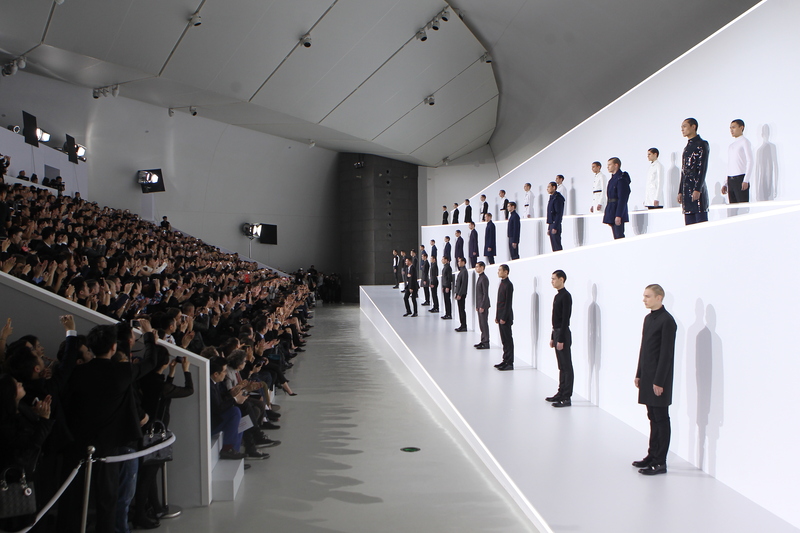 Dior Homme staged it first runway show in Beijing, on April 26th, at the Museum of the Central Academy of Fine Arts (CAFA). The Fall/Winter 2013-14 collection was presented through over forty looks, including three new outfits: tuxedos, specially made for the event. Bringing twenty models from Paris to the eastern capital, the iconic luxury brand reprised and re-adapted its fall show for this new venue. “The Dior Homme man now looks to the future, with optimism” said Kris van Assche, creative director of Dior Homme. “What I wanted to convey in the collection this season is rigor, calm and control. This is a confident, self-made man in a multitude of ways. He’s a self-made superhero”. The show was followed by a party featuring a live performance by British band Hurts.